With Opening Day this week, the biggest names in baseball are ready to depart Florida or Arizona, head north and get ready for the start of the regular season. The rigors of a 162-game season can be tough for anyone, but a bad real estate market can be a big strike out for athletes who are more likely to be moving on to other cities and homes because of trades, retirement, or finding a state with low taxes. Throw in the fact that most of these guys are young with multi-million dollar homes, selling that big fancy home can be as difficult as hitting a Mariano Rivera cutter. For baseball players, hitting a home run is a lot easier on the baseball field than it is when it comes to real estate. Here are ten former and current players who are trying to hit a home run off the field. As these players prepare for the upcoming season or whatever is in store for those who are retired, they also have a lot on their plate off the field. For these ten current and former players hitting it big between the lines is very important, but striking a big deal off the field with their home sale is also part of the game. Entering his second season in a Texas Rangers uniform, Adrian Beltre remains one of the best third basemen in the American League. He has gone over 100 RBI’s each of the past two seasons and was an All-Star in those two years. He will be entering his 14th MLB season with his fourth team. Beltre spent his first seven season in the majors with the Los Angeles Dodgers. Entering his second season in a Texas Rangers uniform, Adrian Beltre remains one of the best third basemen in the American League. He has gone over 100 RBI's each of the past two seasons and was an All-Star in those two years. He will be entering his 14th MLB season with his fourth team. Beltre spent his first seven season in the majors with the Los Angeles Dodgers. His home in Bradbury, just 30 minutes outside of Los Angeles, is valued at $19.8 million. 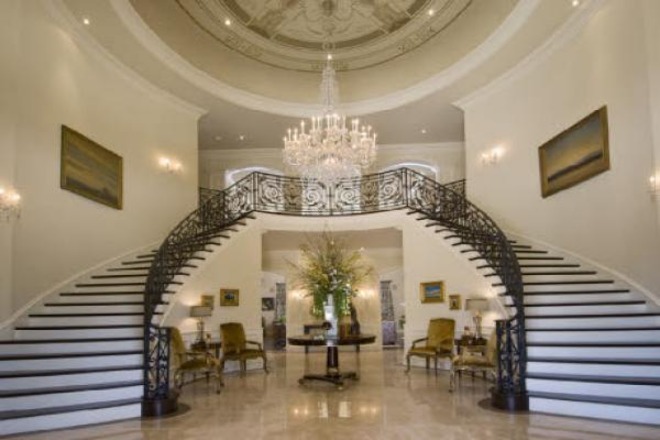 The mansion is situated on 4.16 acres with 16 bathrooms and seven bedrooms. 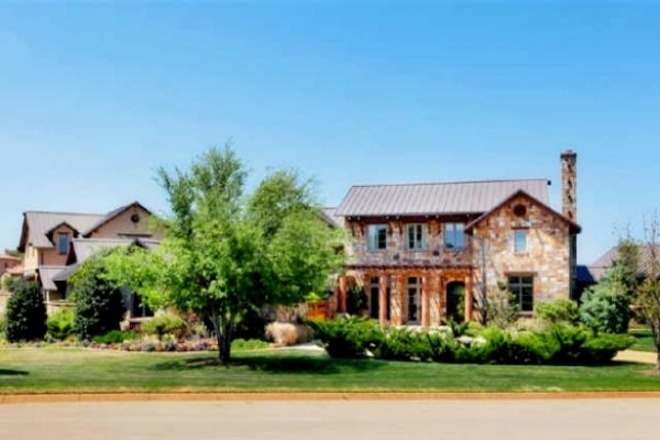 It is located in the gated community of the Bradbury Estates. This Mediterranean-style home has a circular driveway with a breathtaking entry-way consisting of a 35' painted ceiling. The inside has a rec room with a batting cage. There is an eight-car garage, a private pool and a spectacular view of the city. The home also has a 2,500 square foot guest house with three beds and two baths. Outside, there are golf greens, a tennis court and a basketball court. First baseman Mark Teixiera spent his first five seasons with the Texas Rangers . He has won four Gold Gloves, three Silver Sluggers and was an All-Star in 2005 and 2009. After spending five seasons with Texas, Teixiera was with the Atlanta Braves and Los Angeles Angels of Anaheim for two total seasons from 2008-2009. He has spent the past two seasons with the Yankees. His estate has been on and off the market since he left Texas, but is now for sale and priced at $3.995 million. Located inside of Vaquero Golf Club in Westlake, Texas, this lakefront estate is 8,554 square feet with five bedrooms and eight baths. Also inside the house is a large master suite with a gas fireplace, private patio and hot tub. There is a game room, wet bar home theater and two-level office. Right next to the main home is a one-bedroom guest house. Outside, there is a large patio area with an outdoor kitchen and gas fire pit. A large pool in the backyard tops it all off.